This delightful red and gold card is a pouch model card that holds two inserts pulled out from it by the gold zari thread attached on the top. 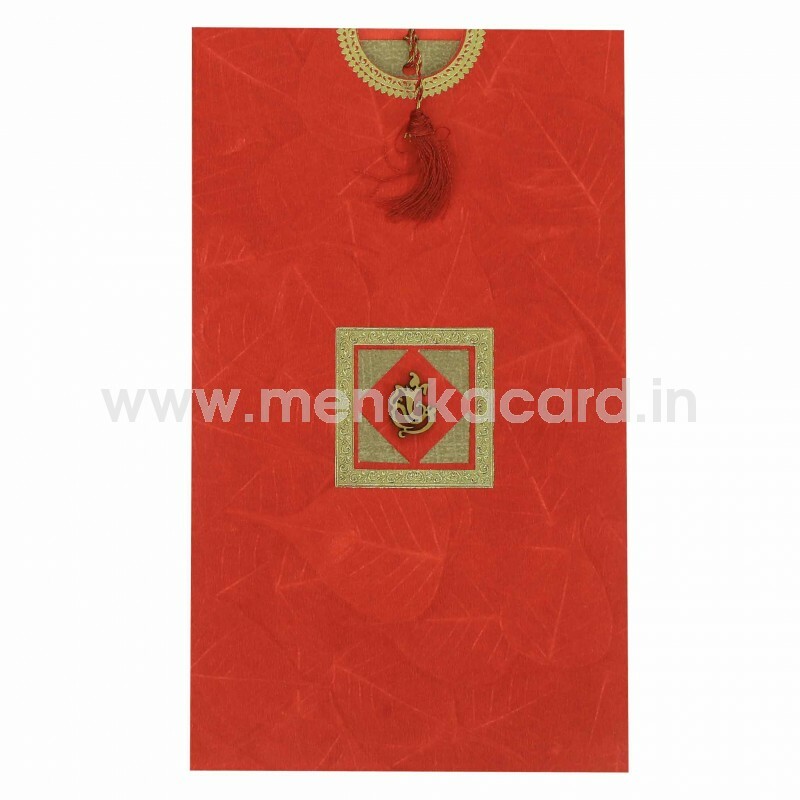 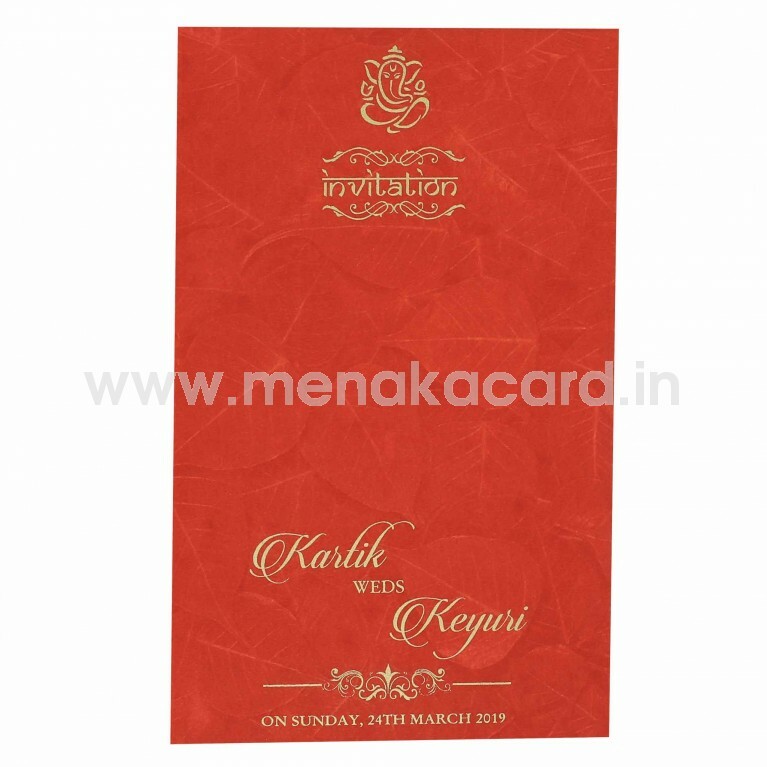 The red matt finish artboard has a unique peepal leaf print motif as a subtle background on the pouch and envelope. 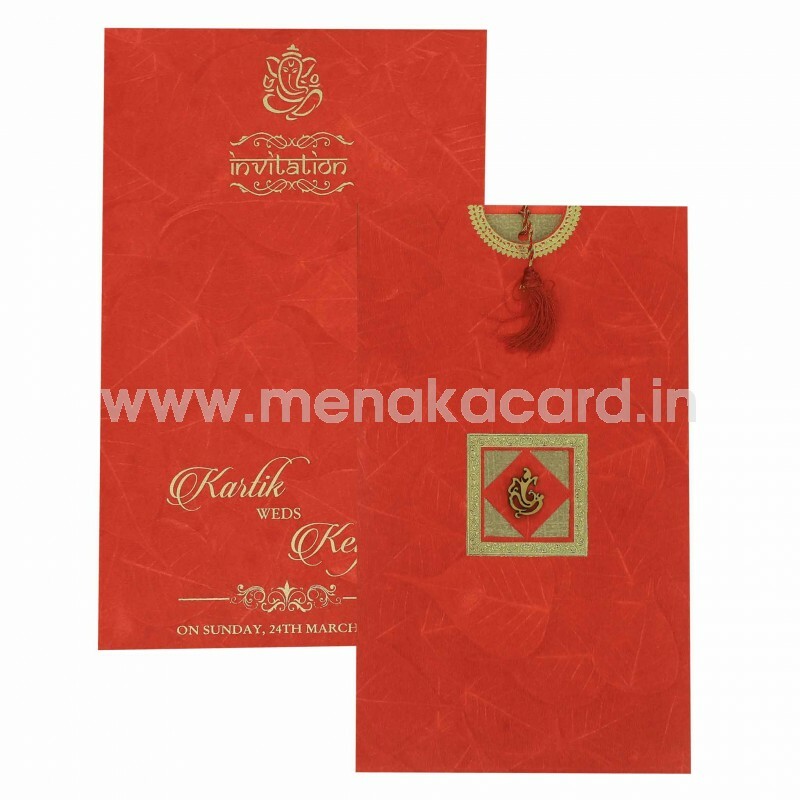 The front of the pouch has a delicate die-cut window holding a contemporary Ganesha sticker and shows the shimmer board beneath. 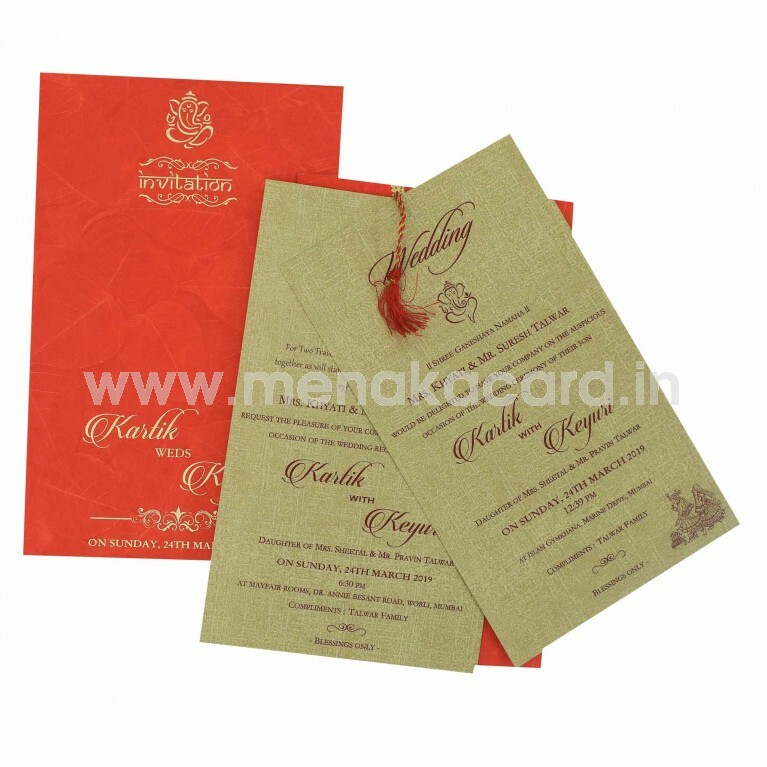 The inserts of the card are made from a dark cream matt board and have contrasting ink of choice. This is generally used for Hindu weddings and personal invitations for Friends and colleagues. This can also be used for grahapraveshams, upanayanams etc.